The Blood Profiling Atlas in Cancer Consortium (BloodPAC)—a project of Joe Biden’s “Cancer Moonshot” launched in 2016 and established as an independent nonprofit last year—has publicly released an initial dataset intended to help accelerate the development of liquid biopsy technology. BloodPAC’s public pre-analytical minimal technical data elements (MTDEs) dataset summarizes the initial submission of member projects and consists of 16 projects with a total 29 studies; 1,147 cases, with a total 3,599 aliquots; and 3,290 samples, of which approximately 75% are clinical. BloodPAC is also publicly releasing select accompanying matrices for visualization of the summary counts. Additional information on the MTDEs has been published on the public BloodPAC Wiki and Data Dictionary. “BloodPAC, in just one year, has delivered on the vision to build a shared data commons that will help the innovators across the research community work meaningfully towards that common goal of understanding how liquid biopsies can improve care for individuals with cancer,” Phil Febbo, M.D., CMO of Genomic Health, said in a statement. Febbo co-led the BloodPAC Samples Working Group that worked with BloodPAC members and the FDA’s Center for Devices and Radiological Health (CDRH) early last year in a six-month project designed to advance the regulatory standards for biomarker development and liquid biopsy. The working group defined an initial set of MTDEs needed to develop pre-analytical standard operating procedures (SOPs) for assay development. On November 3, 2017, BloodPAC, with support from CDRH, identified an initial set of 11 MTDEs for pre-analytical fields. The 11 data elements are metadata fields that must accompany the submission of all future blood profiling dataset contributions from consortium members to the BloodPAC Data Commons. 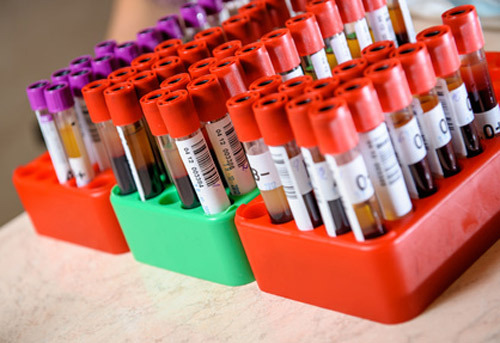 These criteria are established within the data commons to facilitate cross analysis and improve the usability and reliability of the data for liquid biopsy research, the consortium said. Co-leading the working group with Febbo were Anne-Marie Martin, SVP, global head of precision medicine, Novartis; and Howard Scher, M.D., head of the Biomarker Development Initiative, Memorial Sloan Kettering Cancer Center. BloodPAC said it will also allow approved researchers to access raw, unprocessed datasets. The data storage and analytics team will work with BloodPAC members and the research community to develop standards for data use, user authentication and authorization to ensure privacy and security, as well as data annotation and harmonization. Harmonization and data processing methods will be described using portable and reproducible methods to enable widespread adoption of standardized methods, the consortium added. During its second year in operation, BloodPAC said, it will focus on establishing the next layer of MTDEs to define and support other steps in assay development. BloodPAC is a nonprofit consortium managed by the Center for Computational Science Research, an Illinois-based not-for-profit corporation. More than 30 organizations have pledged support by contributing liquid biopsy data, protocols, and expertise to the open data commons. Participating organizations in BloodPAC include: Arkansas Bioinformatics Consortium (AR-BIC), AstraZeneca, Biodesix, Breast Cancer Research Foundation, Celgene, Center for Data-Driven Discovery in Biomedicine (D3b) on behalf of Children’s Hospital of Philadelphia (CHOP), College of American Pathologists (CAP), CytoLumina Technologies Corp., The U.S. Department of Defense, Eli Lilly, Epic Sciences, the FDA, and Foundation Medicine. Also, Genomic Health, Guardant Health, Indivumed, Memorial Sloan Kettering Cancer Center, National Cancer Institute (NCI), Novartis, Open Commons Consortium (OCC), Personal Genome Diagnostics, Pfizer, Prostate Cancer Foundation (PCF), Provista Diagnostics, Seven Bridges, Streck, Inc., Sysmex Inostics, Thermo Fisher Scientific, University of Chicago, University of Michigan, University of Southern California, and Weill Cornell Medicine.